It’s a myth that older patients can’t use digital medicines. Here’s the proof. It’s a common stereotype that older people are bad at using technology — and based on intuition alone, it makes sense. But when we looked at the data around the use of our own digital medicine, a startling finding jumped out at us. Older patients aren’t worse at using our app, engaging with our app, reading our emails or managing their own health. In fact, in many cases, they’re better. Myth #1: Older patients are less likely to open emails. 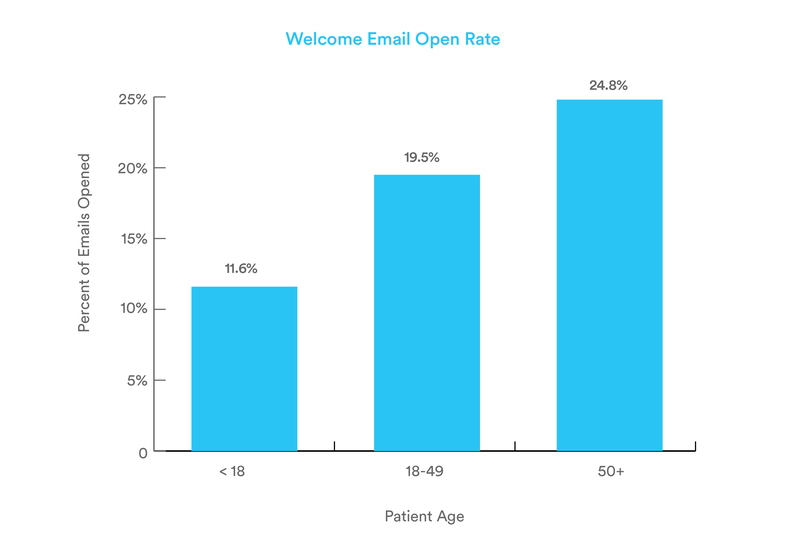 For patients over the age of 50, Propeller’s email open rate jumps significantly — from around 20% in patients 18-49 to almost 25% in those over 50. This is higher than the industry benchmark of 20% and much higher than our open rate for patients under 18, who we might assume are the most tech-savvy. Our hypothesis is that older patients have more time to read their email, and may consider every email more important compared to a younger audience trained to “filter out” certain emails as spam or advertising. It could also be that older patients transfer the obligation they associate with physical mail to email, while younger patients believe that not every email needs to be read. Myth #2: Older patients are less adherent to their medication regimen in the app. 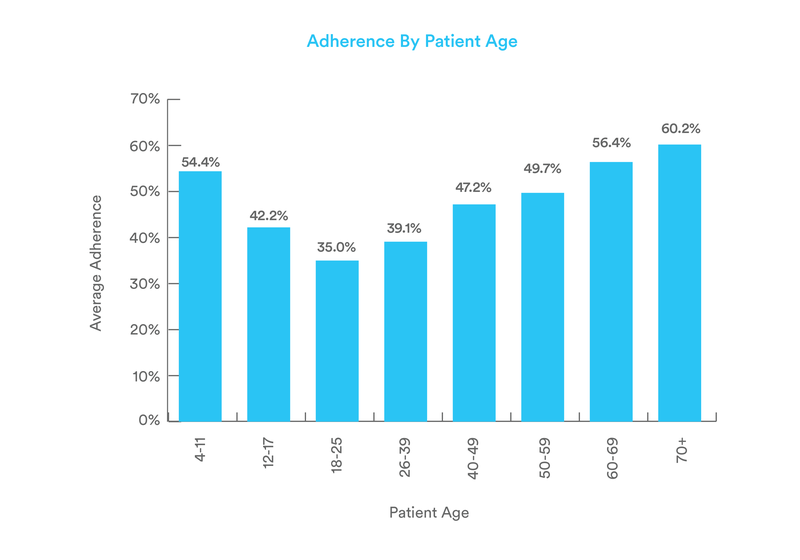 Older patients have higher adherence to their medication regimen in the app, beginning with their first day using Propeller. This means they take a higher percentage of their prescribed doses or puffs than their younger counterparts, as passively measured by the app. We believe this is largely due to the fact that health becomes a larger part of life as we age, and older patients may be more focused on maintaining health. 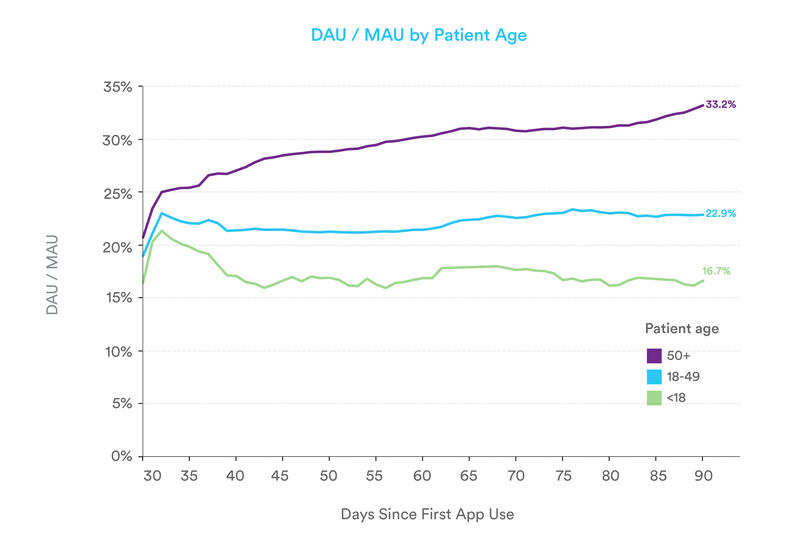 Myth #3: Older patients have a lower level of engagement in the app. Counter to assumptions, older patients show a higher level of engagement in the Propeller app. For Propeller, engagement means that a patient opened the app and interacted with it in some way. We measure engagement as “daily active users” over “monthly active users” (DAU/MAU), or the percentage of somewhat regular users who are engaging with the app on a daily basis. We hypothesize that older patients are more engaged in part because they have fewer technological options competing for their time (e.g., other smart phone applications or work obligations). They may also feel a stronger desire or obligation than younger patients to engage with the app to improve their health. Confirmed: Older patients are more difficult to enroll than younger patients. One assumption did hold up: that older patients are harder to enroll in Propeller once they’ve been introduced to the technology, and may require more hands-on attention than their younger counterparts. This is unsurprising since younger patients are probably more accustomed to the process of enrolling in an app, and less likely to give up on the process without help. Historically, our enrollment process involves creating credentials, logging into a mobile app, and then syncing Bluetooth sensors once they arrive. 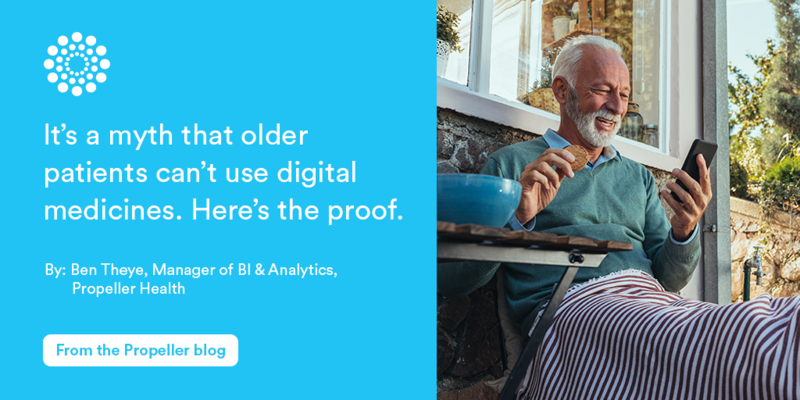 Patients 50 years and older are 33% less likely to reach the app login stage and 48% less likely to successfully sync. So what does this mean for people looking to drive adherence with digital medicines? Basically, don’t assume things about your user demographics without data. This is particularly important for assumptions that align with our preconceived notions about how certain demographics behave. If you have a hypothesis about a patient group, go to the data and test whether your hypothesis is accurate. If it is, congratulations — your hunch was spot on. If not, you’ve learned something surprising that will help you tweak your patient approach going forward. Either way, you’ll have evidence to help you deliver the best possible experience to your patients.